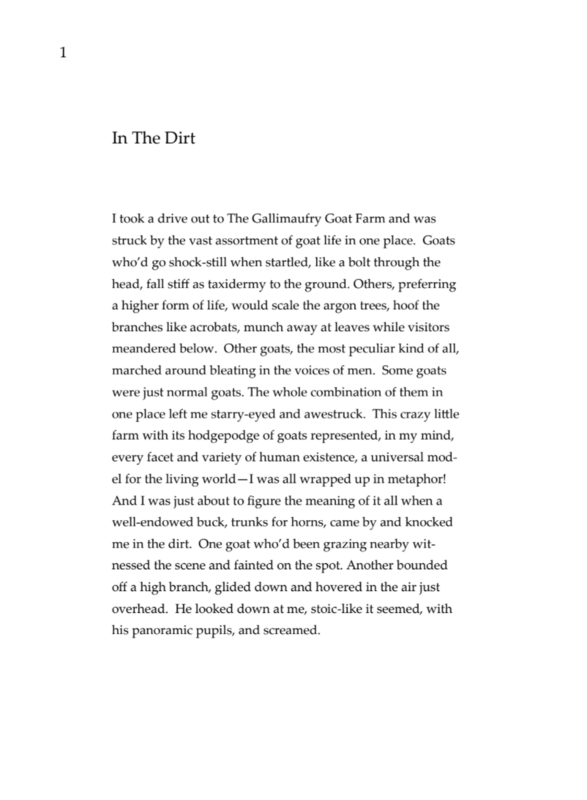 Grant Kittrell's debut collection of poems, contains multitudes. From furry, whimsical fables of broken logic to personal meditations saddled tightly to failing metaphor, the worlds these poems inhabit, and the poems themselves- despite their tight prose-are falling apart. Humor and sadness are superimposed and sometimes indistinguishable. Calling from this collection is a voice, rarely of resolve, but often of curiosity or desperation, as characters struggle to locate an identity within a constantly shifting cultural, familial and metaphysical landscape. As a whole, this lively collection seeks to answer no questions and offers no conclusions-as a result, Kittrell's work leaves us instead in a perpetual and humbling state of wonder. 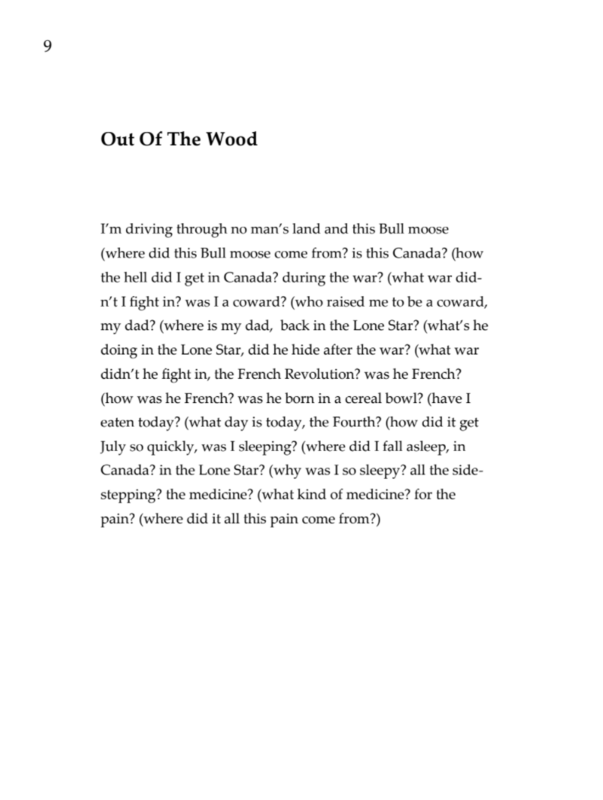 Grant Kittrell grew up in Fernandina Beach, Florida, but currently lives and writes in Roanoke, Virginia. 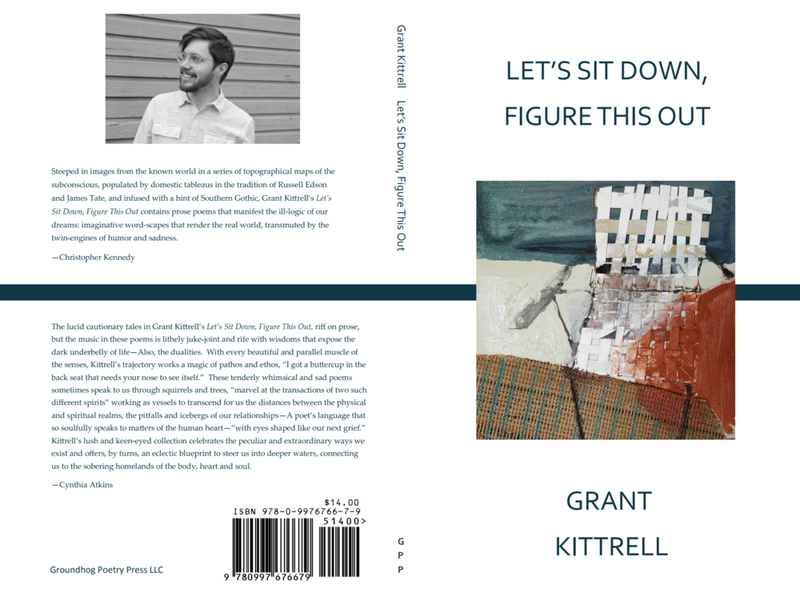 LET'S SIT DOWN, FIGURE THIS OUT is Kittrell's debut collection of poems, though his work has previously appeared in journals such as The Normal School, The Common, Magma Poetry, Construction and Bridge Eight, among others. He received his MFA in Creative Writing from Hollins University and is currently the Poetry Editor for Flock Literary Journal. Visit his website here. Once a month(ish) we’ll send you a few of our favorite poems, a bit of news about the press, and perhaps a poet interview or two!